Mackerel is the best - you need to taste! 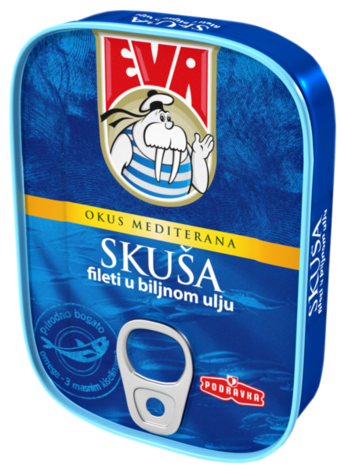 The supreme quality mackerels, rich in amino acids, minerals and vitamins. The fillets make at least 70% of the package, but they bring 100% of the top quality taste enjoyment! They can be consumed straight away or can be prepared with pasta or in salads and sandwiches. the product can be consumed without previous culinary processing. mackerel (Scomber scombrus or Scomber japonicus) min. 70%, soybean oil max. 30%, salt.